The 2018 Boost Mobile Supercars e-Series is now live, to find Australia's best racer on Xbox's Forza Motorsport 7. Supercars' second esports competition starts with the Shakedown for competitors to book their place in live races from October 16. A winner will be crowned on November 20, in the week Supercars celebrates its own 2018 champion at the season-ending Coates Hire Newcastle 500. 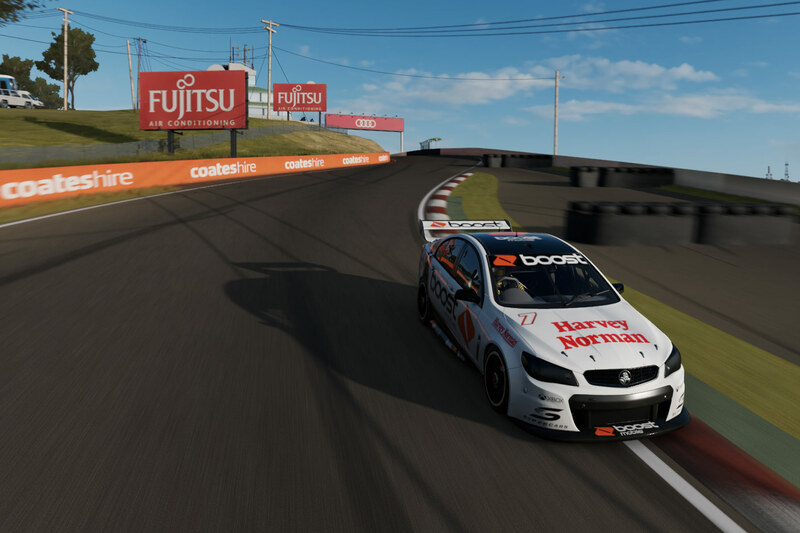 Shakedown runs from October 1-7, with times set around Bathurst's legendary Mount Panorama in a Supercar on Forza Motorsport 7. The fastest 32 gamers at the end of that week progress to the Eliminator round on October 16. A series of races will then set the field of eight to contest the six-round Boost Mobile Supercars e-Series. Starting that same evening, three, 20-minute points-scoring races will be held each Tuesday until November. They will be contested on a range of world-famous venues including Bathurst, Spa-Francorchamps, Suzuka, Monza and the Long Beach street circuit. All of the action will be streamed on Supercars.com, Supercars' social media channels and Twitch. The competition this year features a significant prize pool including a $2,000 cash prize for the e-Series champion. Standalone Cup Series separate to the main e-Series will also be held from October 17-November 19, on Wednesday evenings before a Monday finale. These standalone races are open to all comers on the ESL Play website each week, with Supercars drivers set to participate as ghost competitors.